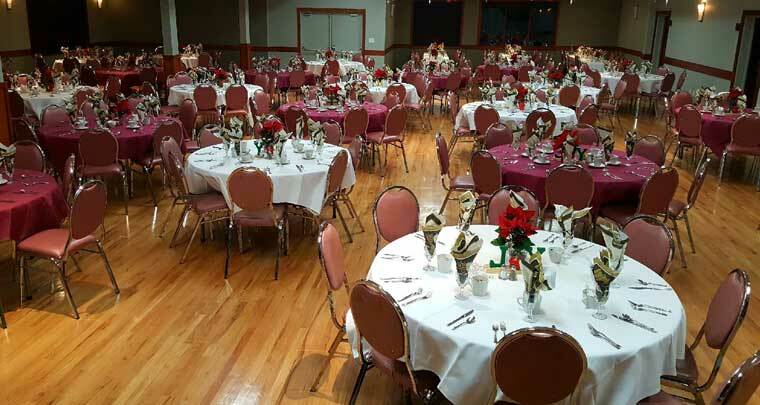 Our beautiful facility is available for many types of rentals; wedding ceremonies, receptions, birthdays, banquets, luncheons, seminars, workshops, classes meetings and staff parties or even a dance venue. Click on the picture above for more information about hall rentals and book a future event. We have an amazing wooden dance floor is said to be the best in the valley. We would be happy to provide, snacks, sandwiches, fruit trays, deserts or a full course quality meal for your next event. We can also accommodate celebration of life and memorial services. Please view our Rental Agreement and Menu for more Information.